Experience the sights and landmarks of northern Italy. This tour focuses on the regions of Lombardy, Liguria, and Emilia Romagna. Submit the form for the Northern Italy tour with airfare and for more information about this all-inclusive Northern Italy tour that includes Parma, Milan, and Cinque Terre. 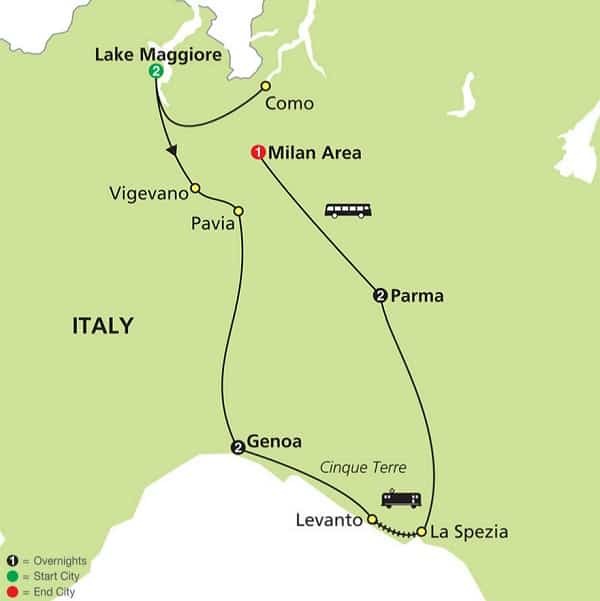 Click here for the day by day Northern Italy tour itinerary. 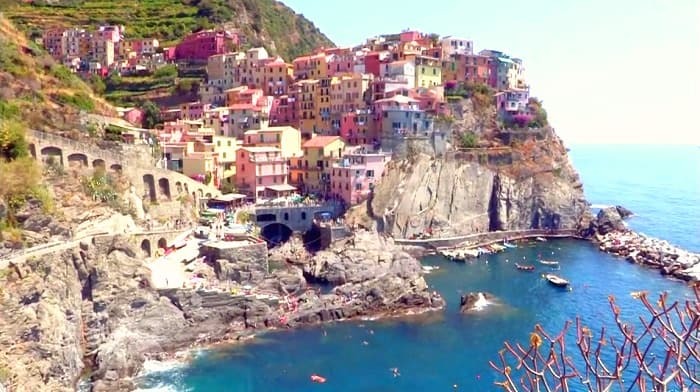 To book this trip to northern Italy and for the price of the Lake Maggiore, Genoa, Cinque Terre, Parma, Milan tour with airfare submit the form or call ItalianTourism.us 800.227.1577. This tour of Northern Italy begins in Lake Maggiore. Enjoy a day trip to Como, surrounded by the magnificent Lake Como. Stop in Vigevano and Pavia, two lesser-known cities but just as captivating with their palace and arcades. Get to know Genoa, home of Christopher Columbus, the largest medieval historical center in Europe and one of the most important Mediterranean ports in history; explore Cinque Terre with its beautiful, rugged cliffs and romantic fishing villages; discover Parma, home of the composer Giuseppe Verdi, where you’ll have a walking tour of the city; and spend time in Parma’s fascinating rural surroundings, with castles and fortresses immersed in the gentle hilly landscape and learn about some of its famous regional products such as Parmigiano Reggiano cheese and Prosciutto di Parma ham. Your northern Italy vacation ends in Milan, one of the world’s fashion and design capitals and home to the splendid baroque Duomo. for the day by day northern Italy trip itinerary click here. Click here for Northern Italy tour itinerary. Check the box next to the Northern Italy tour that you would like to join. Price published is for land only. Enter preferred departure airport above and submit form for air itinerary and price of Italian Lakes Tour with airfare from your preferred departure city. Click here for northern Italy tour map. Click Northern Italy tours to view all Italy vacations to Northern Italy.